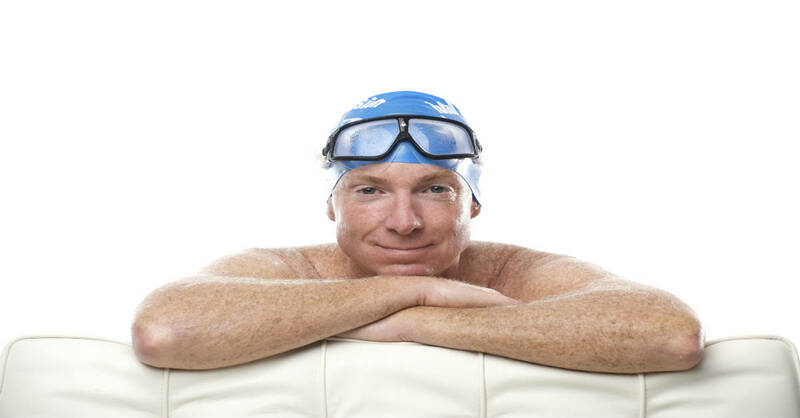 Since posting my Goals for 2011, I’ve subsequently explored the difference between subjective/qualitative and objective/quantitative goals and urged you to set goals that – in the course of improving your swimming – can also change your life. It’s the process, not the outcome, that provides ‘peak’ experiences. As I related in Goals that Change Lives, I design every practice to provide me with Arduous Experience and Cognitive Difficulty. My first two goals, which focus on Masters racing in pools do that especially well. Let’s look at the first: In pool swimming, I aim to compete among the top rank of my peers in my favorite – and strongest – events. These include the 500, 1000 and 1650-yd (or 400, 800, and 1500m) freestyle. This time last year I was training for several marathon swims, possibly culminating in an English Channel attempt. After training for three months, and completing the Maui Channel and Tampa Bay marathons, I had developed great physical endurance but increasing felt my practice – and to some extent the marathons as well — left me unfulfilled with regard to Arduous Experience and Cognitive Difficulty. You might ask “How could swimming 24 miles and nearly 12 hours (as in Tampa Bay) be anything but arduous?” Well, I defined Arduous as requiring precise and consistent execution of exacting tasks. Successful marathon swimming requires repetition of an efficient relaxed stroke, at low power and tempo, 20,000 to more than 50,000 times. For most people this is indeed arduous. But for me it no longer is. After 40+ years of distance swimming, a lifetime of pace mastery, and over two decades devoted to achieving super-efficiency and wiring it deeply into my nervous system, that had become, if not a no-brainer, at least a skill I could do practically on autopilot. And training to swim uninterrupted freestyle for hours at a time made my practices rather one-dimensional: All freestyle and in a relatively narrow range of Stroke Length and Rate. My rivals are staggeringly fast. Some of the people I’m aiming to race were, if not the Michael Phelps’s of the early 1970s, darn close. I was a guppie in comparison. I’m gratified to have narrowed the gap in middle-age, but it remains large, even yawning. The 60-64 winning times at Masters Nationals, in my best events, are faster now than I swam in college 40 years ago. A marathon may be long, but in recent years I’ve completed three swims in excess of 20 miles, and know with complete confidence I could do so again. I can exactly measure the challenge. In training for a marathon, you prepare for the idea of a marathon: It will be long. It will be solitary. It will most likely be rolling. In some cases it will be dark. Whereas, I know with a degree of certitude that 98 days from today I must hold an average pace of 1:12 per 100 yds to place in the top 3 to 4 swimmers in the 1650 Free at Masters Nationals. As I’m currently training at a pace of about 1:20 per 100 I can calculate in mathematically precise terms how much I must improve in Strokes Per Length and Tempo to close that gap. Masters racing is mano-a-mano. Marathon swimming is man against nature. Nature is unpredictable and incredibly powerful, but the human interaction of competition provides a far sharper kind of brain stimulus. There’s a reason why spectator sports involving human competition are sometimes followed by millions (Olympic Swimming, Soccer World Cup, Super Bowl) while man against nature is far more solitary – the current movie 127 Hours notwithstanding. As well, many of those I’ll race with in Masters meets are good friends. I love the chance to test myself against them, then rehash it later over a convivial dinner. Devise and execute a race plan covering four distinct phases – feel out stroke pattern and pace during the first 250 yds, sustainable pacing f0r 800 to 1ooo yds, increasing intensity for 400 to 500 yds and an empty-the-tank finish for the last 250 yds. Turns-pushoffs-breakouts – and adjusting them for ever-more-acute aerobic distress (from repeatedly enduring 4 seconds of not breathing, 65 times in 20 minutes) without sacrificing speed. Observing what’s happening in other lanes and potentially adjusting my race plan. And having to take all of that into account in my training, in addition to programming my nervous system for a targeted combination of Length and Rate. To be honest there are relatively few adult swimmers who relish adding these kinds of challenges to the universal and significant tasks of learning and sustaining stroke efficiency. But after nearly a half-century as a coach or competitor in swimming races, my self-identity is pretty strongly bound to that idea. And I love the sense of renewal I get upon entering each new age group. How many of us get to greet each new aging milestone (50 . . . 55 . . . 60) with such a keen sense of anticipation — and with such strong motivation to pursue healthful anti-aging practices? Tomorrow I’ll describe how striving to do well in shorter events and different strokes provides me with Arduous Experience and Cognitive Difficulty. Well said Terry. You certainly have insights that elevate the pratice of swimming. I liked that you brought up the fun of competing with old friends. Every meet I go to is a fun event and provides an oppertunity to touch base with new and long time aquaintaces. Your writings are a constant scource of inspiration for me. I guess I have said this pretty much before but just want to acknowledge you again. Knowing that you and others like you are reading my blog is a source of inspiration for me.